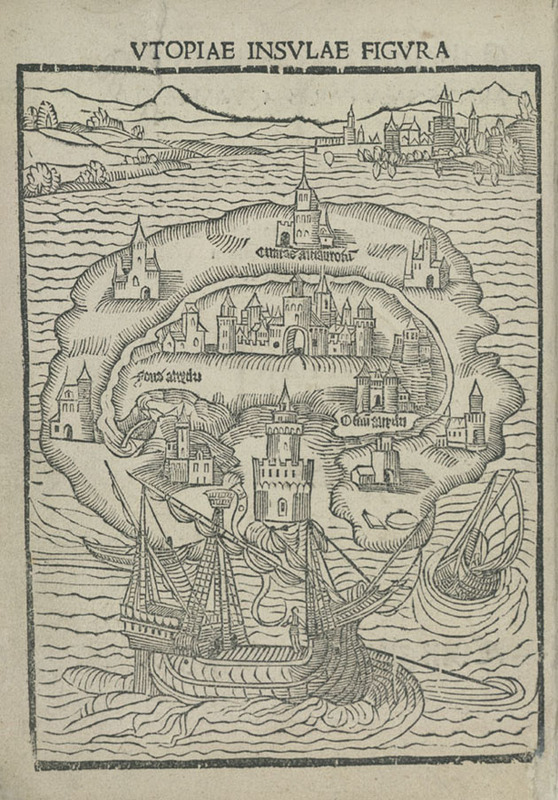 Thomas More's Utopia marks its 500th birthday next year. A radical work of literary, political and philosophical thought, the book describes an island in the New World where a perfect society exists, free from the iniquities of private ownership and other social ills. Many aspects of Utopian life are covered in More's treatise, from communal living arrangements among residents of the island's 54 cities, to burial rites and marriage practices. All fine and well, you might say. But a question remains: what would it have sounded like? An international group of sound artists recently come up with a rather wonderful answer. Head over to Cities and Memory to listen in on an entirely new Utopia of sound.